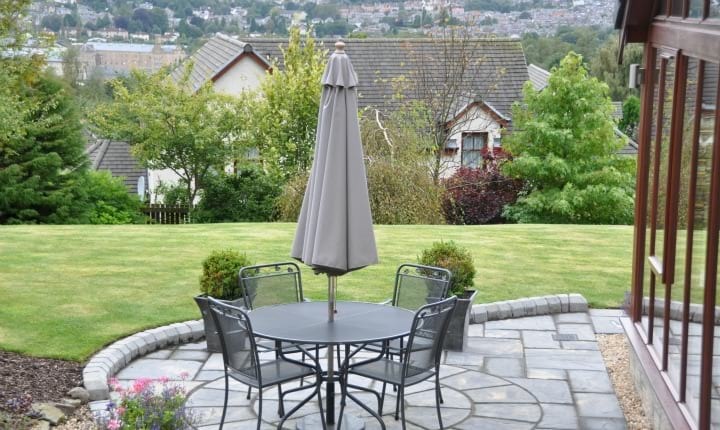 Located on the western banks of the River Tay, the scenic heart of Scotland, the city of Perth provides the perfect backdrop for creating stunning gardens. We work in locations around Perth, including Scone, the Western Edge, Bridge of Earn and Luncarty, to create a range of beautiful gardens which bring our client's properties to life. Our landscaping expertise covers the construction and installation of a variety of garden designs, including planting beds, patios, decks, trellises, gravel paths and driveways and water features. Like other cities, versatility is important to the gardens of Perth and we specialise in designs which fit perfectly with our clients' lifestyles and properties. 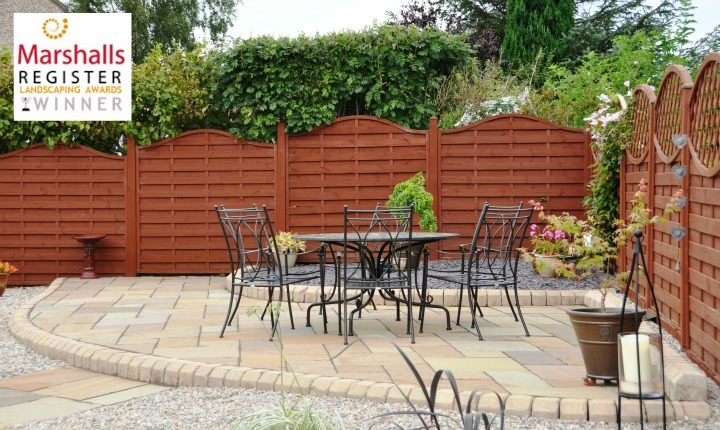 Whether you need a discrete, attractive outdoor parking space or a manicured lawn bordered with plants, trellises and features - however you imagine your dream garden, we're ready to help you create it. 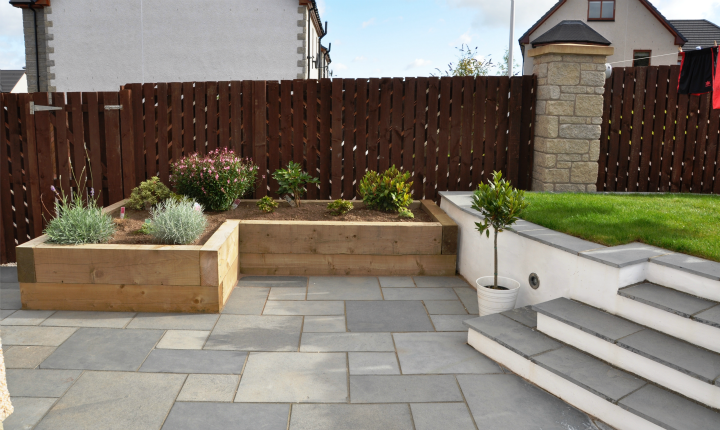 If you would like to discuss a garden project in Perth simply give us a call on 01738 553014 or submit an enquiry form. This new build project in Scone created a garden for the whole family to enjoy. Please click below to find out more on this project. This Perth project involved the re-design and landscaping of a rear garden as a much more user friendly space. Please click below to see more on this project. An extensive re-design project in a garden with a spectacular view of Perth. Please click here to find out more. A project involving upgrading the driveway and using interesting shapes in a smart new garden at the rear. Please click below to find out more on this project. 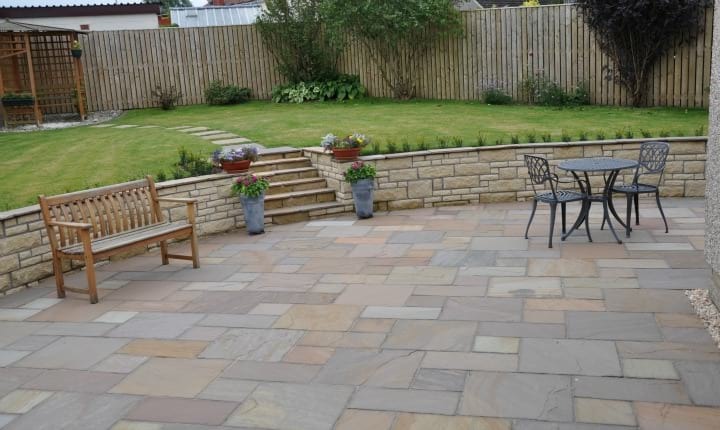 An award winning project involving creation of a low maintenance garden with extensive use of sandstone paving. Please click below to find out more on this project. A re-design project in Scone resulting in the creation of a garden with a distinct Mediterranean feel. Please click below to find out more on this project.